Ridge Church is Moving Soon! I'm very pleased to announce that Ridge Church will be moving soon. 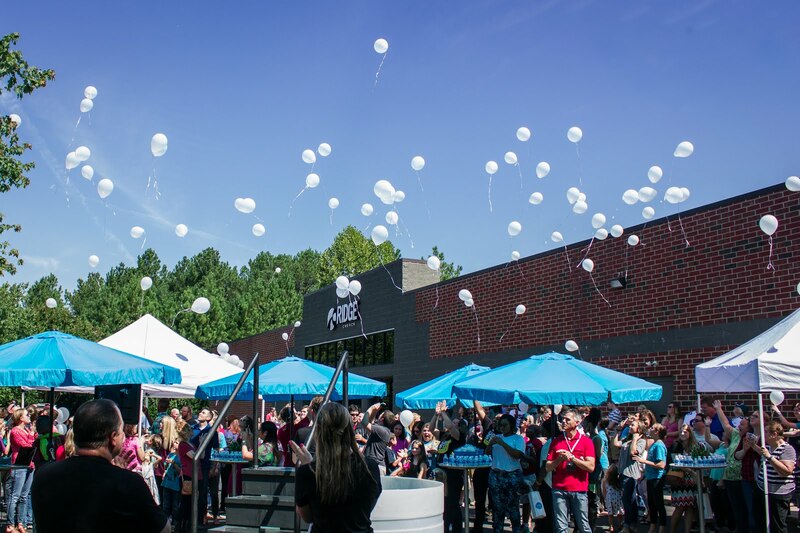 Last weekend we celebrated three years of Sunday morning services at Ridge Church and we also announced that we will be moving soon to a 24/7 location. Applause erupted from the crowd which was pretty cool to experience! Stay tuned for more details as they unfold but for now just know that we have commissioned the architects and engineers. Renovations will likely begin within the next 6 weeks. The new facility is only 4000 feet from our current location. So many lives have already been changed and I can't wait to experience the life change that will happen in this new facility! You can go HERE and contribute through Egive to this project called "1 twelve". This week was part two of our current series "On Your Mark..." Message Title: "Will the Real Jesus Please Stand Up?" LISTEN HERE. I wonder if any one appreciated the Eminem reference:-) Quick thanks for all of the comments, texts, emails, and phone calls about the sermon from Sunday. I love being the pastor of this church! We began the morning talking about the "polarizing nature of Jesus" and I gave five statements, beliefs, and claims of Jesus. My caveat was this--I said, "I'm not asking anyone to agree with these; interpret these; or even like these;...I just want you to listen and feel whatever it is that you feel when you hear these. I said I would post these five with verses so here they are. Before you decide how this sermon will end you should check it out for yourself. You might be surprised! I can remember clearly one particular night from the early days at Ridge Church. We were doing a series of what we called "Core Gatherings" and this night a generous count would have placed 30 adults in the room (assuming 3-5 people were in the bathroom:-). I was doing my very best to cast vision of a preferred future to that handful of adults and I was hoping they would lean in and buy in! I told the story of an imaginary person and what that person would "one day" experience at Ridge Church. A person that wasn't a "church person", and had left all that spiritual stuff behind years before. If I'm honest, the story seemed far fetched even to me--it felt light years away--like a pipe dream. Now, a few years later, a lot of sacrifice later, a lot of vision later, we've all had the privilege to attach name after name after name to that imaginary story as it consistently becomes REAL! Listen to Barb's story and know this is "the story" I told that night so long ago...even though we had yet to meet her or know her name at that time. I'm humbled to be a small part of what God is doing in peoples lives. Maybe you should be part of it too? Barb's Baptism from Ridge Church on Vimeo.